Research shows that learning mindfulness can enhance mental health and well-being – for adults, including schools staff, children and young people. For school staff, mindulness training can enhance resilience to stress and improve decision-making and concentration. There is a 90-minute staff INSET training session available and an 8-session mindfulness course, designed especially for schools. For children and young people, mindfulness training can bring many benefits that can improve ability to learn. It can improve mental health (reducing anxiety, depression and stress), learning, focus, attention, flexibility and creativity. It can help develop social and emotional skills though greater self-awareness, emotional regulation, resilience, motivation and empathy. Holistic Education offers mindfulness training for children and young people that is well-research and evidence-based. .b (“dot b”) is a nine session mindfulness course for schools. .b (“dot be”): This is a 9 session course designed by the Mindfulness in Schools Project (MiSP) for pupils in secondary schools. For more information about “.b”, click here. Paws .b (“dot be”): This is a 6 session course designed for pupils in upper primary. 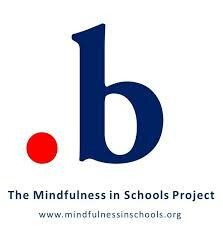 It was also developed by the Mindfulness in Schools Project. More information, click here. Mindfulness-based Awareness Training (MBAT): This intervention is for children and young people with Special Educational Needs and Disability (SEND). For more information, click here.